The Walt Disney Company (NYSE: DIS) recently announced that Ravi Ahuja will join the senior leadership team of Walt Disney Television upon the close of the 21st Century Fox acquisition as president, Business Operations, and chief financial officer. In this role, Ahuja will oversee finance, strategic planning, business development, affiliate sales & distribution, technology, music affairs, consumer insights and labor relations for the division. ision. In addition, he will work closely with business units to optimize and grow revenues and operating income, and will liaise with Disney’s Direct-to-Consumer and International segment in regards to advertising sales and content distribution. Upon the closing of the 21CF transaction, Peter Rice will head Walt Disney Television as chairman. Ahuja will report to Rice and Christine McCarthy, senior executive vice president and chief financial officer, The Walt Disney Company, and joins announced post-closing business unit leaders James Goldston, president, ABC News; Gary Knell, chairman, National Geographic Partners; John Landgraf, chairman, FX Networks and FX Productions; Gary Marsh, president and chief creative officer, Disney Channels Worldwide; and Dana Walden, chairman, Disney Television Studios and ABC Entertainment. 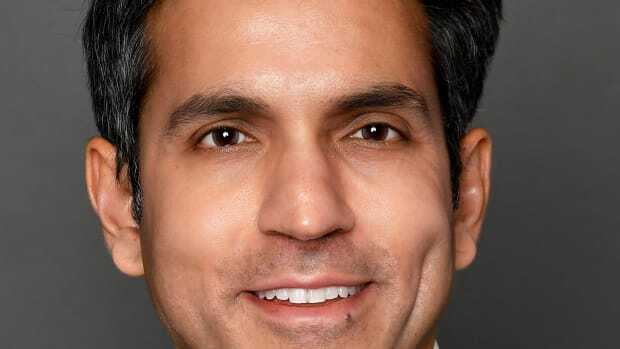 Ahuja currently serves as chief financial officer for the Fox Networks Group (FNG). In this position, he has direct management of finance and accounting while also overseeing business development for all FNG business units: Fox Broadcasting Company; Fox Cable Networks, including FX Networks; Fox Sports Media Group and National Geographic Partners; and Fox Networks Group Europe and Africa and Latin America. Prior to his appointment as CFO at FNG, Ahuja was executive vice president of Business Operations and Development. His group contributed to investments and acquisitions including the National Geographic Partners, YES Network and Sports Time Ohio RSN transactions and in the planning and formulation of Fox Networks’ new channel strategy. Ahuja’s group was also active in new technology initiatives including Hulu and Roku. Before joining Fox in 2007, Ahuja spent eight years at Virgin Entertainment Group, Inc. in increasingly responsible executive roles, ultimately becoming chief financial officer. Prior to joining Virgin, he was in the consulting practice at McKinsey & Company and began his career in investment banking. Ahuja holds both a bachelor’s degree and a Master of Business Administration from the Wharton School at the University of Pennsylvania.